After leaving Acadia, it was finally time to begin heading west. Our first stop was in New Hampshire to visit my aunt, uncle, and cousins. They have a house on a lake, and it was a great spot to relax and catch up with family after a busy week of sightseeing. 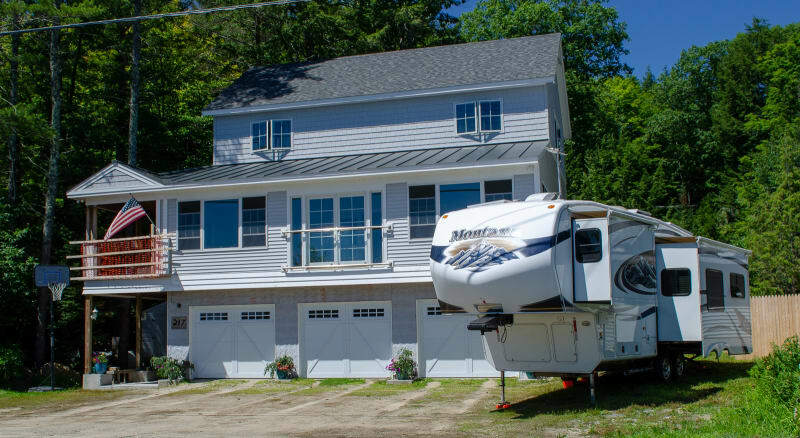 Their home was about 7 hours from our location in Acadia, though, and that was more driving than we really wanted in one day. It was a perfect opportunity to make use of our Harvest Hosts membership. 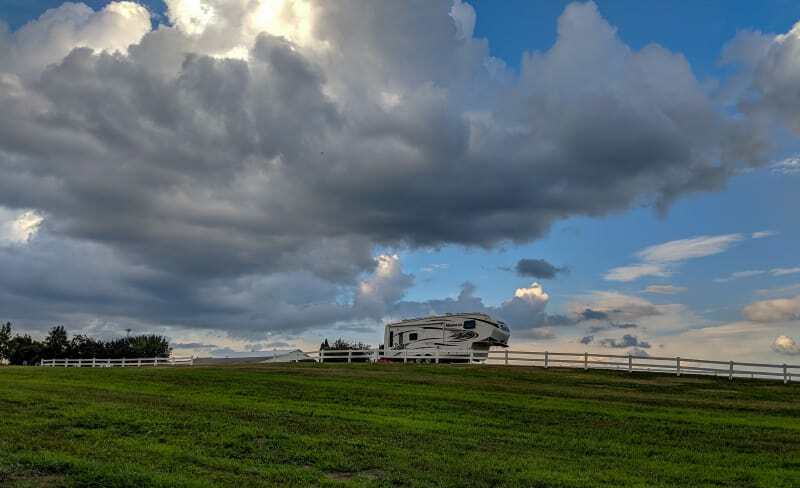 Harvest Hosts is a network of wineries, farms, and other attractions that allow RVers to visit and spend the night for free. 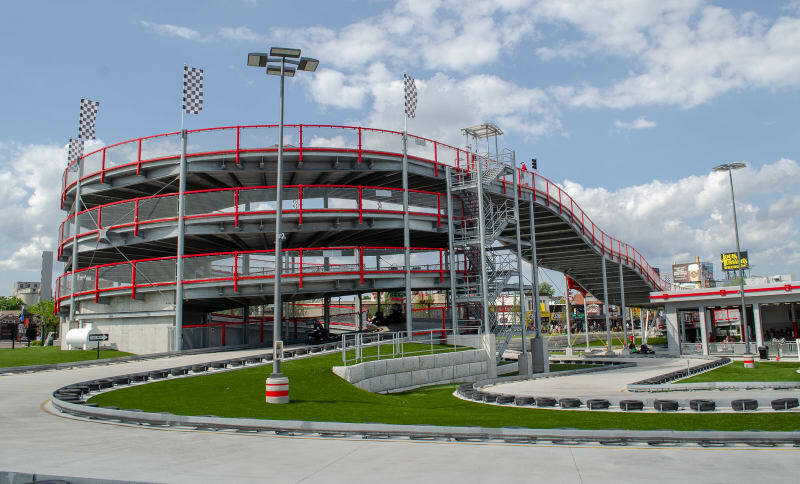 It’s a great alternative to camping in a Walmart parking lot, and it offers a unique experience compared with a night at a random RV park. You can only stay one night, so it’s not a long-term camping option, but it’s great when you’re on the move. We stayed at the Cisco Brewery in Portsmouth, NH. 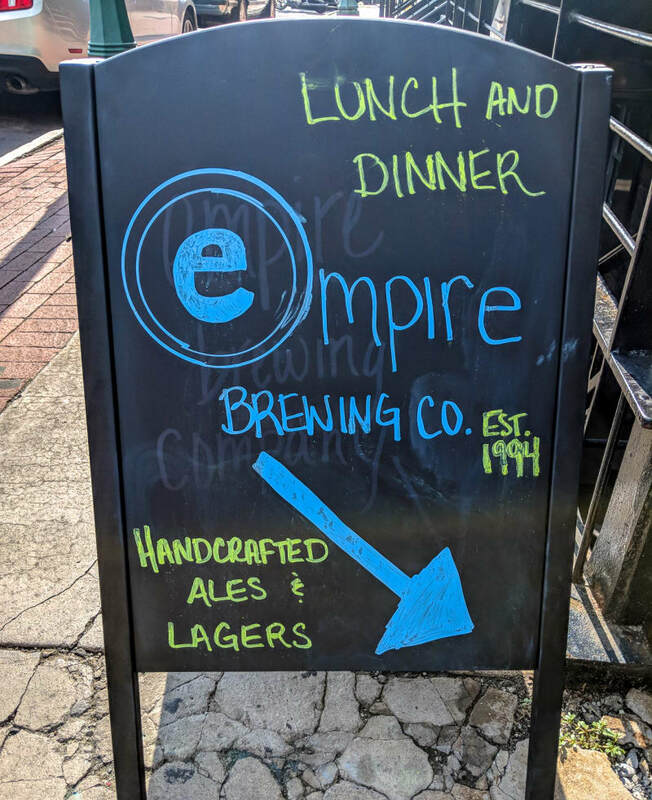 They had a large parking lot with plenty of space for us to park, and their beer was great. We arrived early, and since the weather was pretty bad, we ended up having lunch and dinner there. We also had some down time to take care of chores and grocery shopping. We left early the next morning and arrived at my aunt and uncle’s lake house. 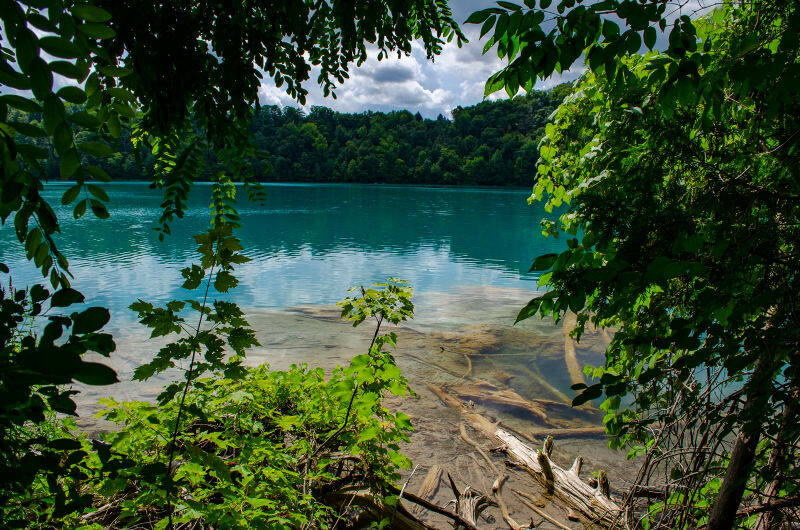 They have a beautiful spot on the lake, and we swam every day we were there. I also had a chance to practice paddle boarding again. Turns out I haven’t really improved since I first tried in NYC, but at least it was better to fall in the lake rather than the Hudson river. We enjoyed a sundowner cruise around the lake every night, and we even brought Mango on one of the boat rides. He was a little hesitant at first, but he relaxed and enjoyed the ride once we got going. 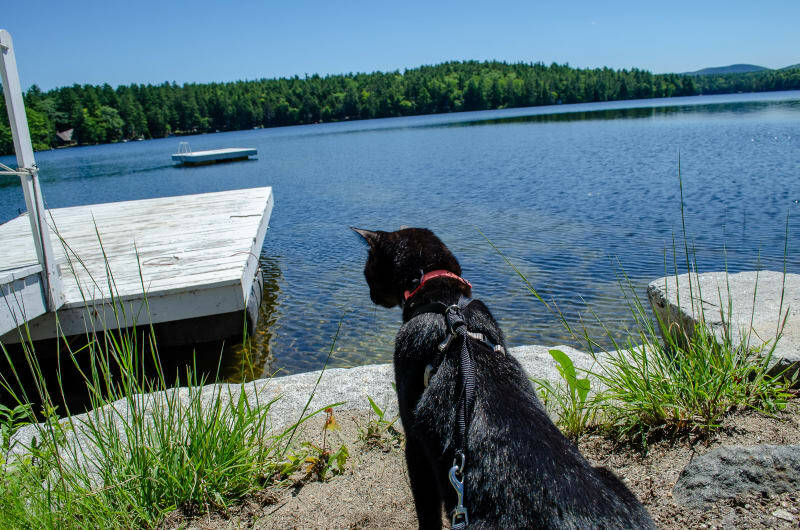 Ollie wasn’t quite ready for the boat yet, but he’ll get there. 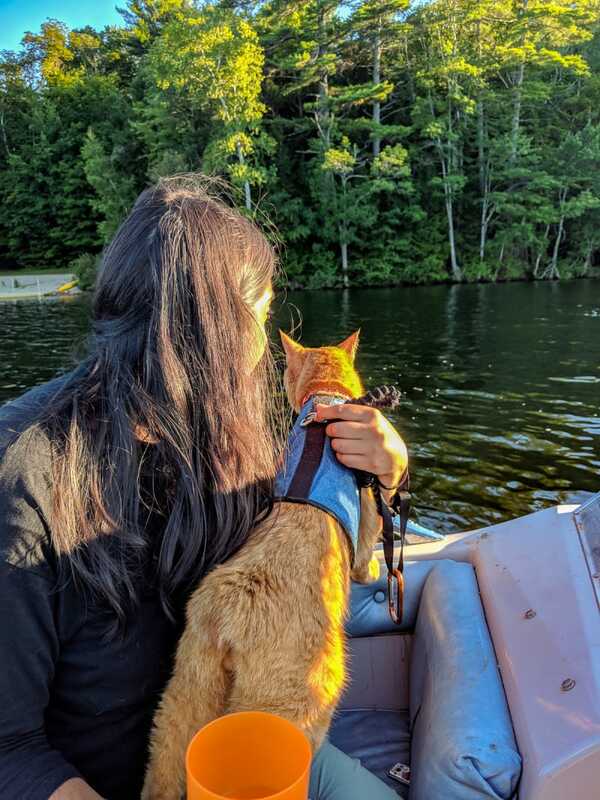 Mango being an adventure kitty and taking a boat ride! 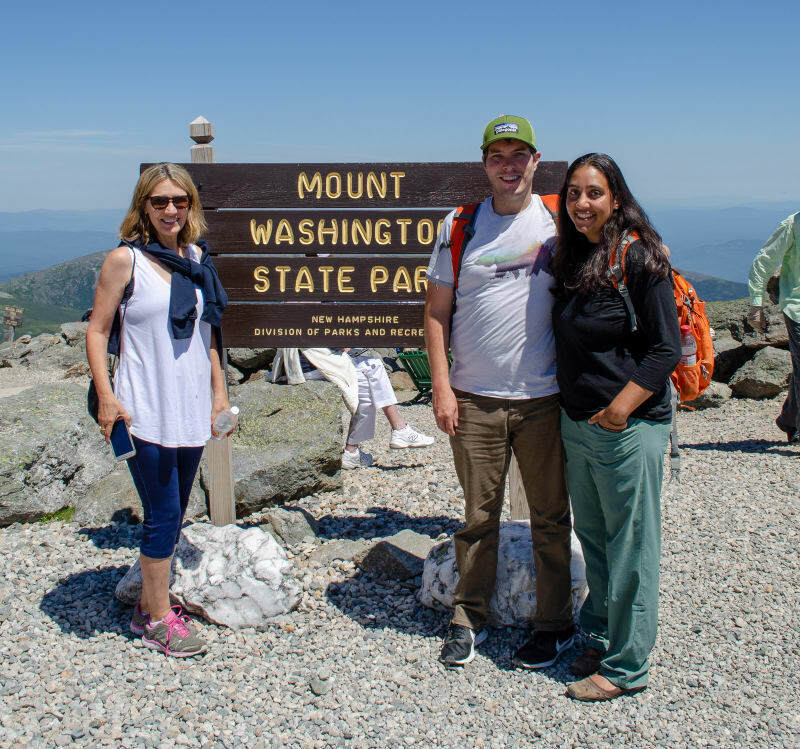 While in New Hampshire, we also took a day trip to Mt. 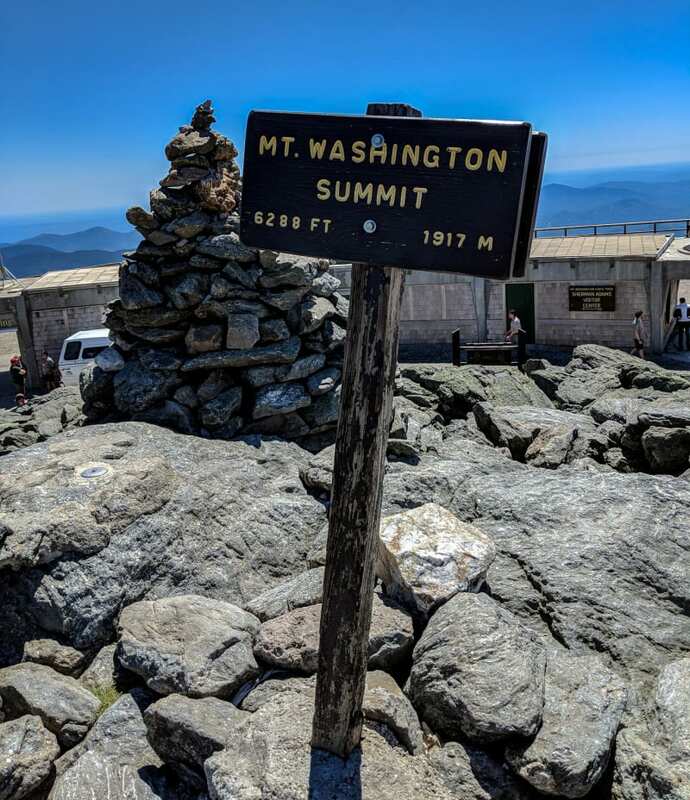 Washington in the White Mountains. We drove by the mountain twice while traveling between Vermont and Maine a couple weeks earlier, but on both trips, the weather did not cooperate, and we weren’t able to see the mountain peak. Since we had flexibility this time, though, we planned our trip for the day with the best weather. The sky was clear, and it was one of the warmer days they’ve had all season. 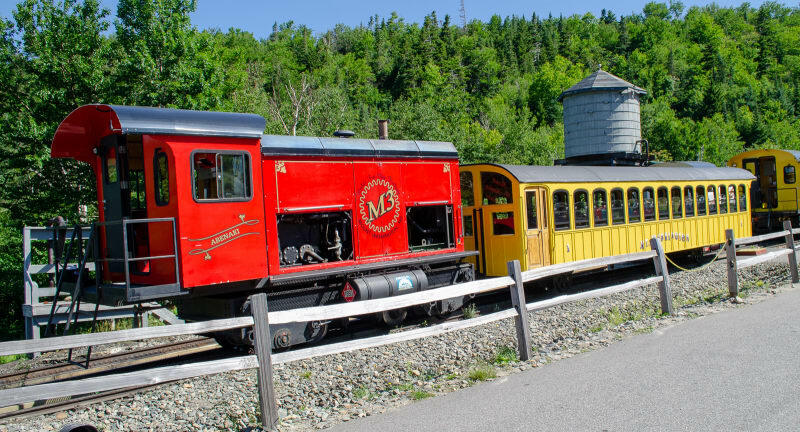 We met my mom, who was visiting Vermont at the time, and we rode the Cog Railway to the top. 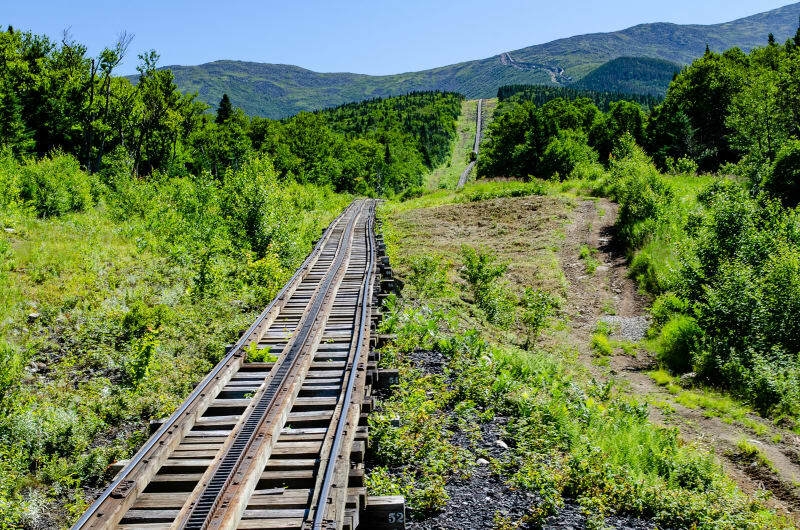 The Cog Railway was a cool experience, and I’d recommend it to others; however, it does limit the time you have at the peak to about 1 hr. If we ever make it back there again, I’d like to drive up (or maybe hike!) so we have more time to explore. We at least had time to take pictures at the summit and explore the museum which had a lot of great info on the crazy weather at the peak. Panoramic views from the top of Mt. Washington! After 4 days in New Hampshire, it was time to keep moving. We had hoped to meet up with friends from the city again on our way back through southern Vermont and New York, but we have a pretty firm deadline to meet my family in Montana at the end of August, and after sketching out a rough timeline for our travels, we just didn’t have the time. Instead, it was another overnight with Harvest Hosts - this time Bowman Orchards near Albany, NY - on our way to the Finger Lakes. 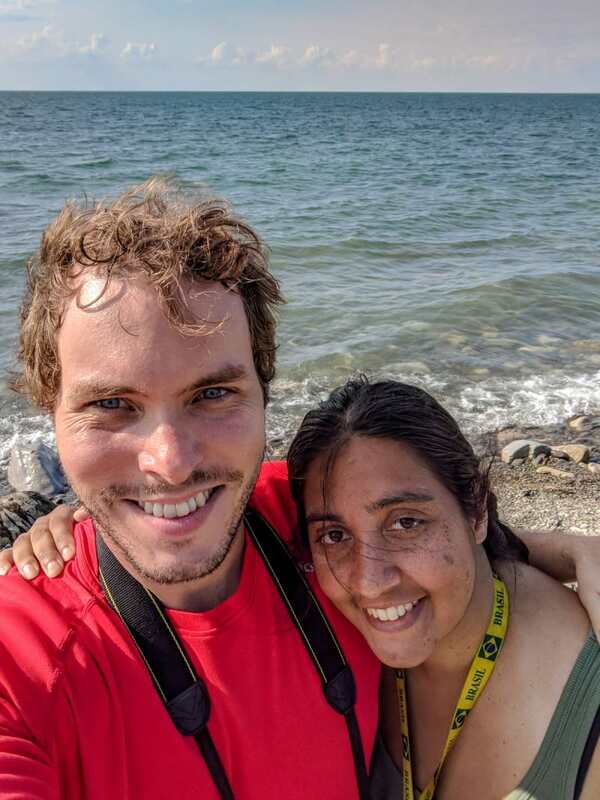 While browsing Instagram, I noticed that another full-time RV couple that I follow, Rae and Jason of the Getaway Couple, were passing through the Albany area as well. I sent them a message, and it turned out they were camping close to where we were, so we made plans to meet up. We met them at a nearby brewery and spent the evening chatting about life in an RV. 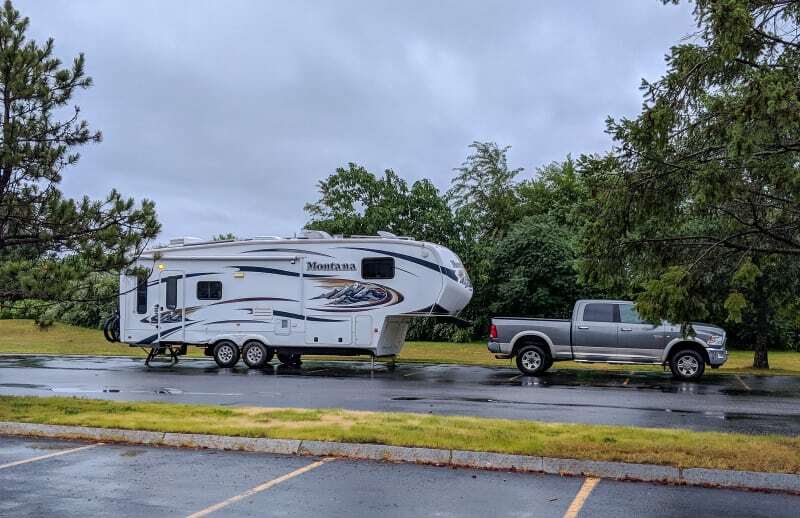 It was great to compare stories and get advice, and it was nice to learn that RVing on the east coast wasn’t just stressful for me. The driving is supposed to get much less challenging as we move west, so I’m looking forward to that! The next day, it was on to the Finger Lakes. 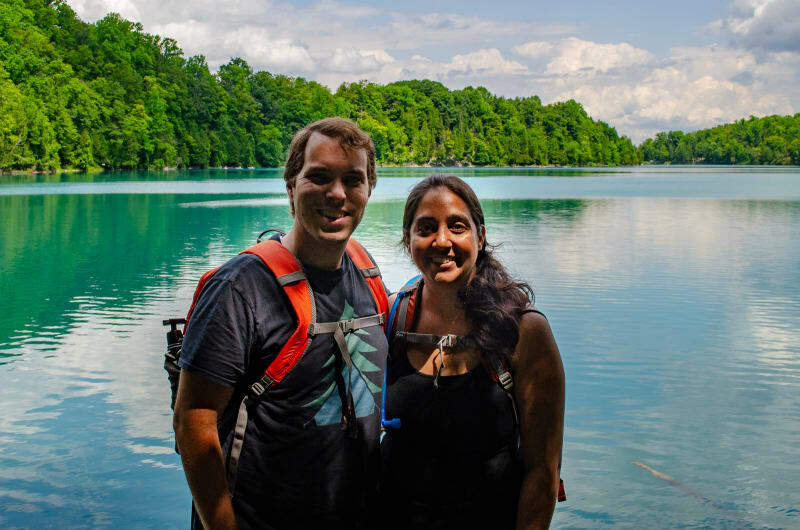 We booked a campground, Junius Ponds, just north of Geneva, NY, at the northern end of Seneca Lake. The campground was nice but not anything particularly special. Its location was central to all the sites we wanted to visit, though. 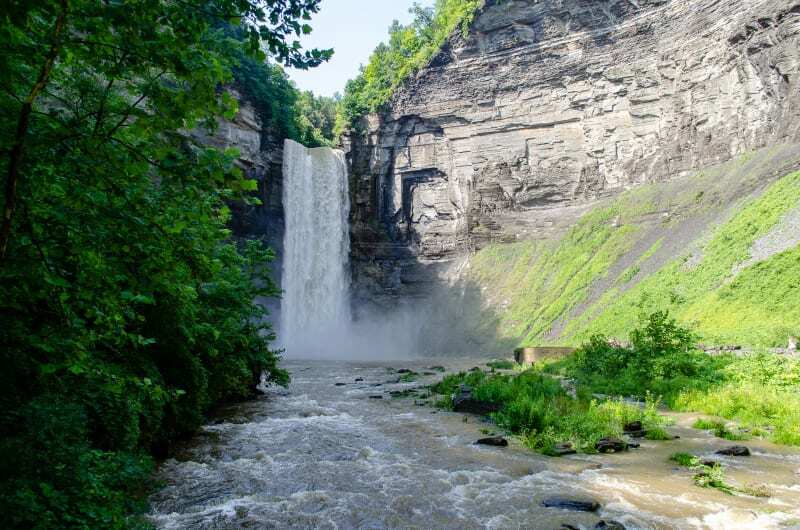 First up was a visit to Ithaca, NY, and Cornell University’s main campus. Sushila had a couple former co-workers there, so she arranged meetings, and I explored the campus. I’d always been told it was beautiful there, and it did not disappoint. 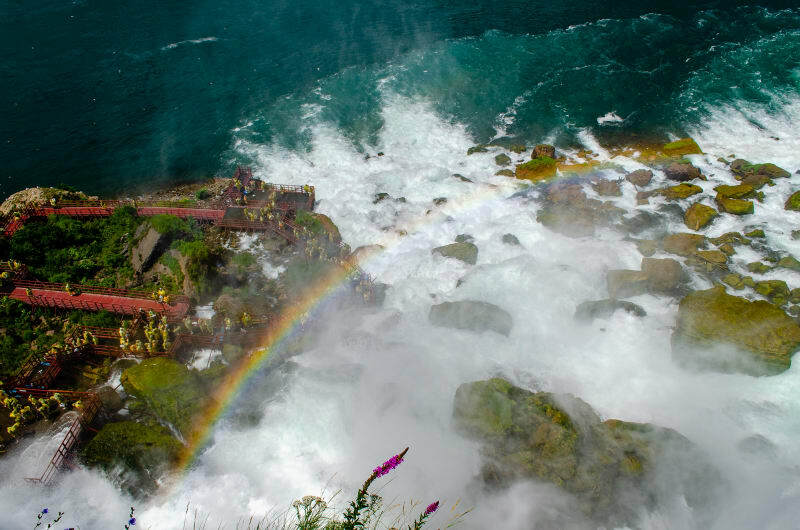 The campus is located between two gorges, with bridges and paths crossing back and forth across and great views of the various waterfalls. At the western end of campus, there was also a nice view of Cayuga lake. 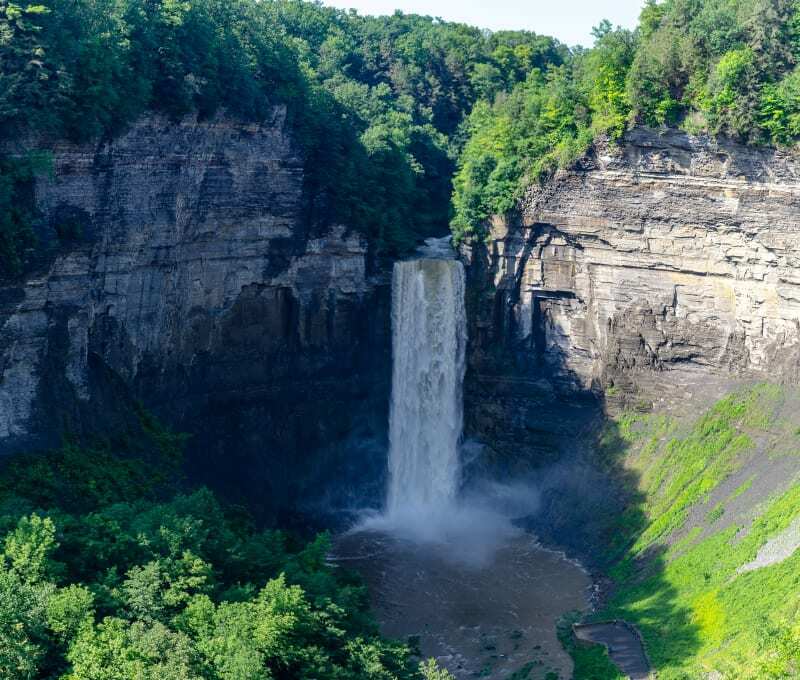 We also made a spontaneous stop at Taughannock Falls State Park. We saw signs for a waterfall overlook on our drive and decided to give it a shot, and we’re really glad we did. 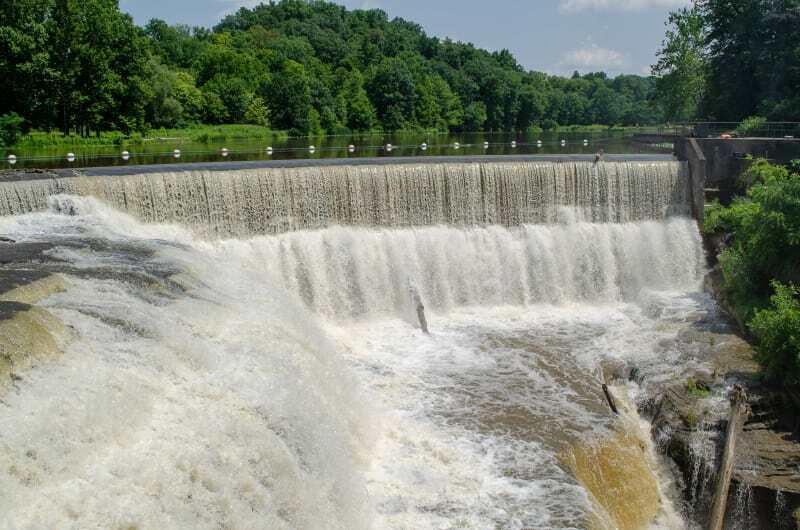 At 215’ high, they are the tallest single-drop falls east of the Rocky Mountains. 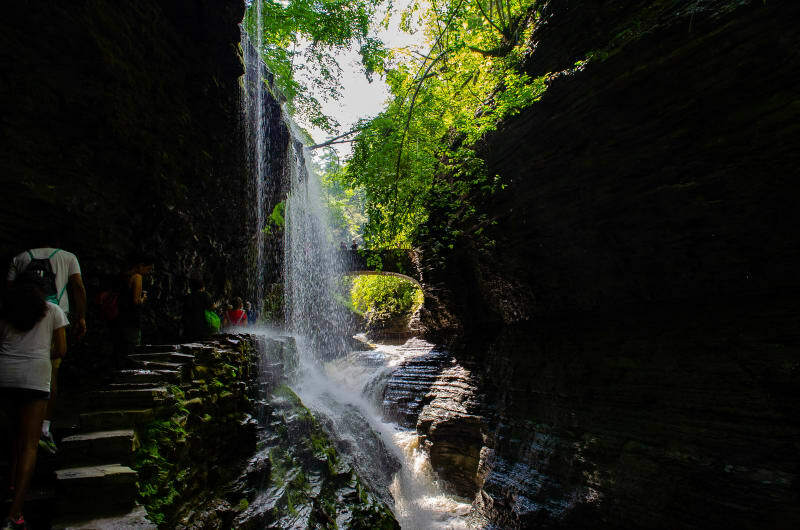 The falls plunge into a beautiful, 400’ gorge, and the view was spectacular. The area was so pretty that we decided to drive back to the start of the gorge and hike up to the waterfall for a view from the bottom. 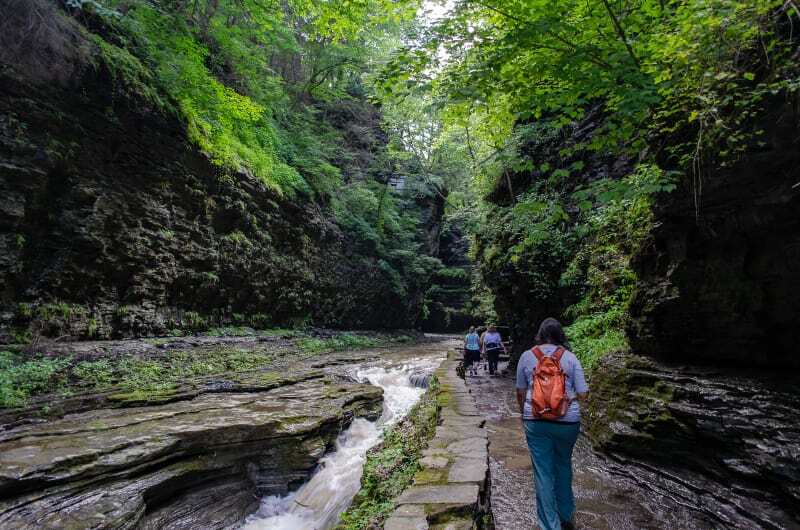 The next stop on our waterfall and gorge tour was Watkins Glen State Park. I wasn’t quite sure what to expect with this one. 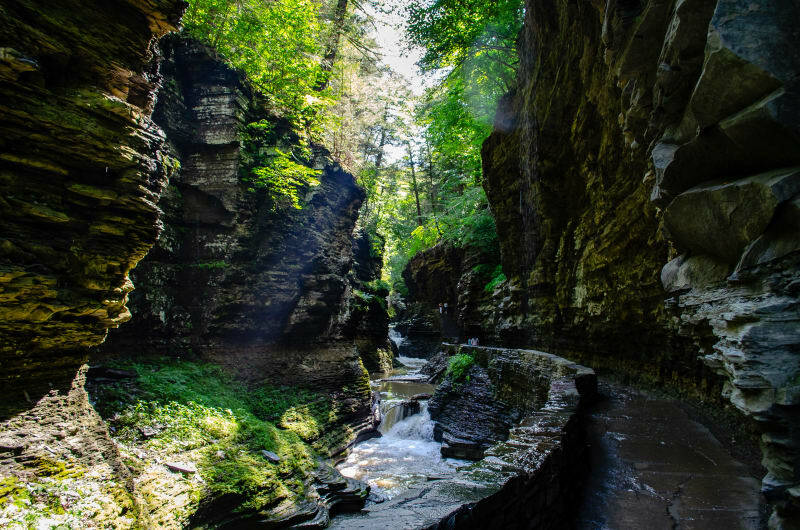 I’d seen pictures of the gorge, which look amazing, and it was one of the top things I wanted to see in the area. I was suspicious, though. 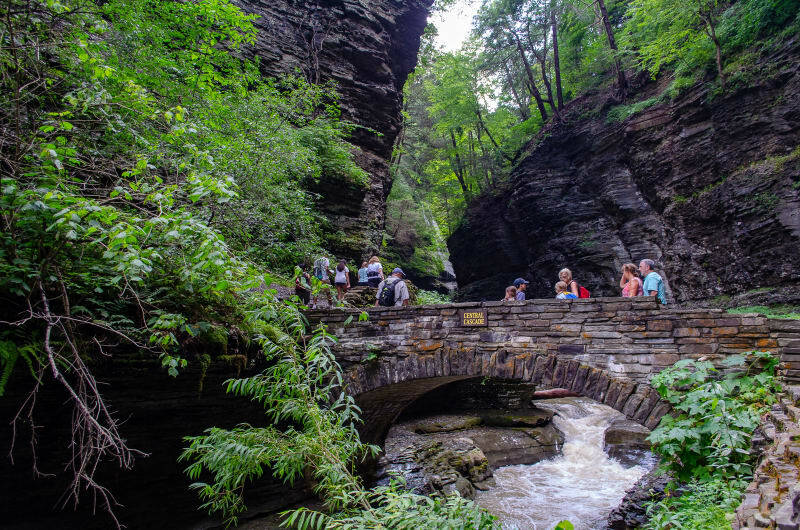 All of the pictures seem to be of this iconic stone path and bridge through a gorge, and I suspected that that one picture covered the majority of what there was to see. I could not have been more wrong. The entire hike was one of the coolest things I’ve ever done. 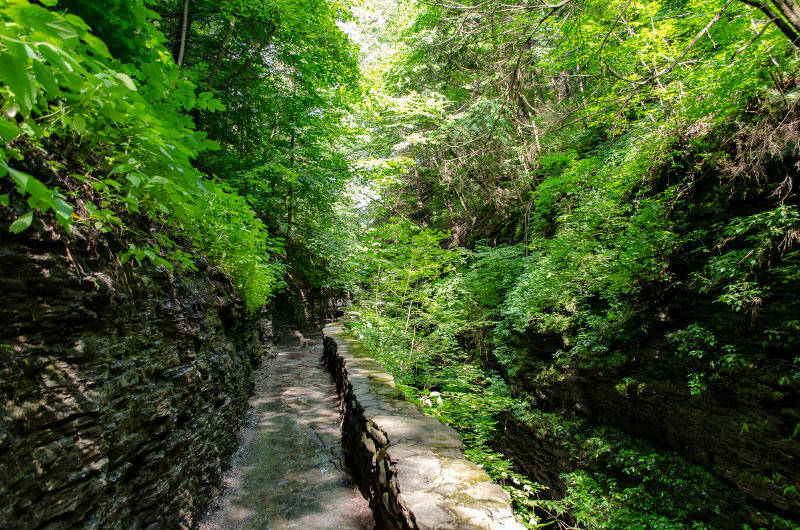 Stone paths and bridges are cut all through the canyon, crossing back and forth across the river, over and under falls. Many of the paths are cut into the canyon wall, and the rock above overhangs. Water drips down from the overhangs, and combined with everything else, it creates one of the most fantastic environments I’ve ever experienced. The final stop on our waterfall and gorge tour was Niagara Falls. 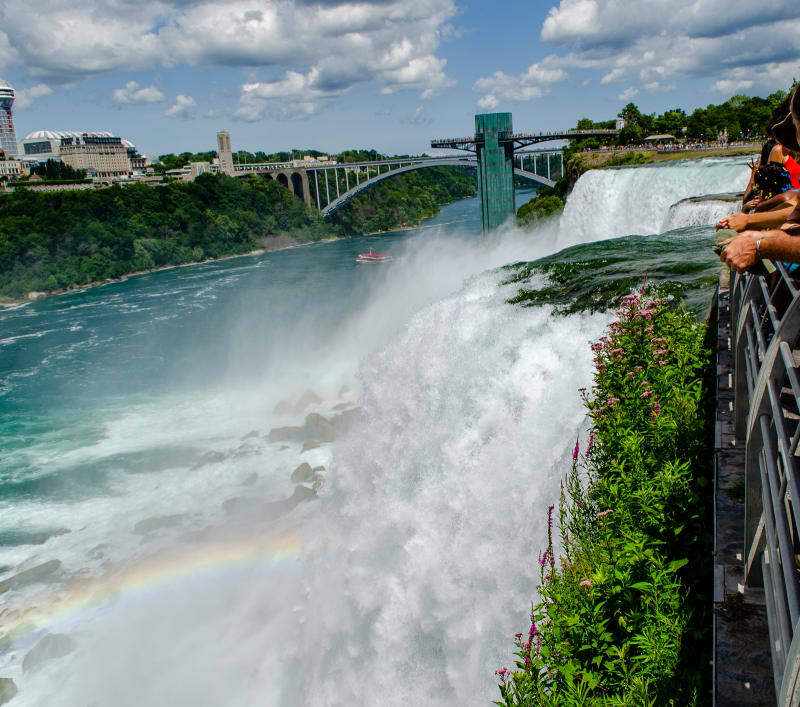 I had always heard Niagara was super touristy, so I didn’t really have high expectations. 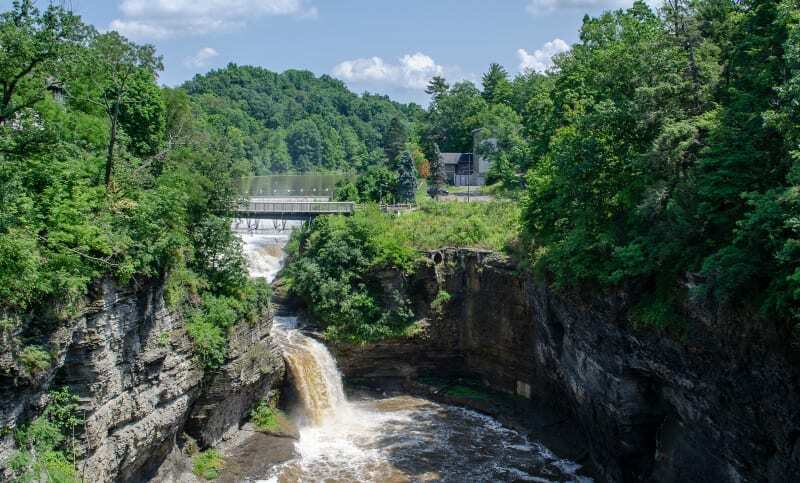 The US side of the falls is a New York State Park, and surprisingly, it wasn’t touristy at all. There were a few activities that had fees (like the Maid of the Mists), but otherwise the park was completely free. We parked nearby and walked around to the various overlooks. There were nice views, but as expected, we needed to go to the Canadian side to really get a good perspective on the falls. 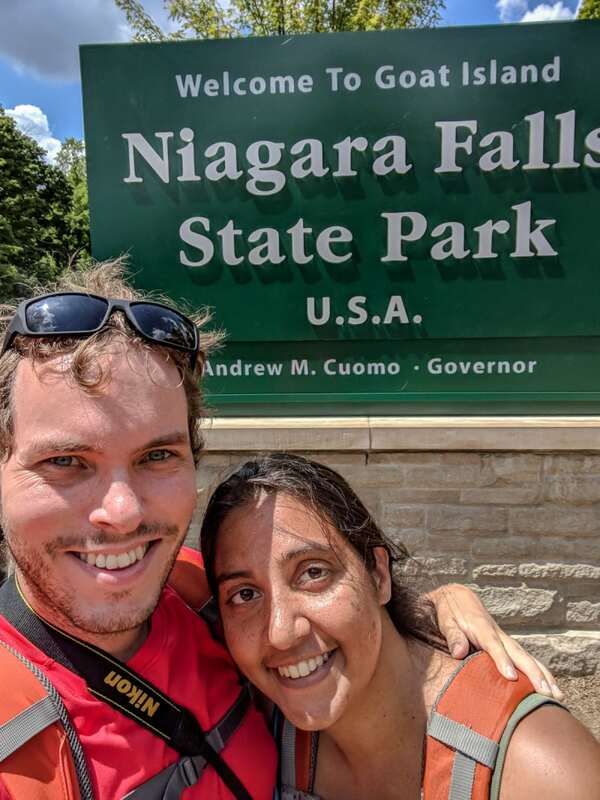 Rather than drive and have to sit in traffic and find parking on the other side, we decided to walk across the Rainbow Bridge, which crosses the Niagara gorge and connects the US and Canadian sides. The bridge itself had great views of the falls, and the view was even better once we were fully in Canada. Unfortunately, we also discovered that the Canadian side is why it’s known for being touristy. I’m not even sure what to compare it to - it was worse than Times Square and worse than Las Vegas. 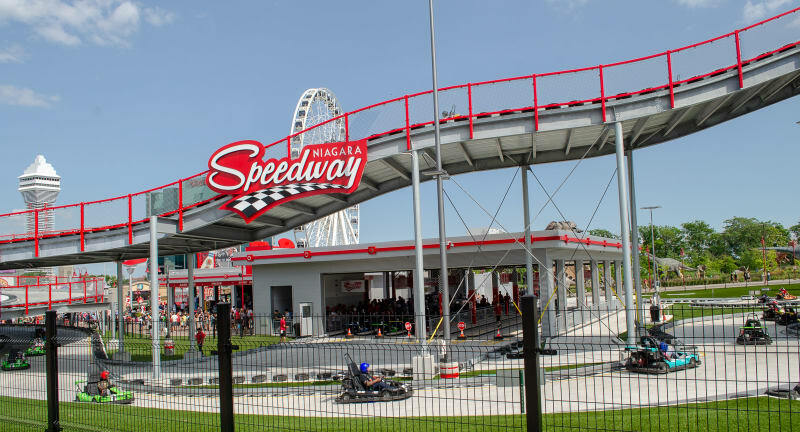 After snapping some pictures, we probably would have turned right around to go back; however, I had seen a convincing advertisement for the Niagara Speedway, a go-kart track in the area, and I really, really wanted to try it. We braved the crowds to try it, and it was worth it. After the ride, we crossed back across to the US side of the falls. Weirdly, Canada decided that one-upping Times Square wasn’t enough, and they charged $1 to leave Canada and walk back to the US. Thanks for disappointing us, Canada. After leaving Niagara, we drove north and stopped at Fort Niagara State Park. I decided that one of my goals for our trip was to touch all 5 great lakes, and Lake Ontario was up first. The park was right on the lake, so it was a great place to check it out. We stopped, took a few pictures, dipped our feet in the water, and then headed home. Finally, on our last day in the area, we met up with one of Sushila’s former co-workers, Francisco, and his wife, Reyna. 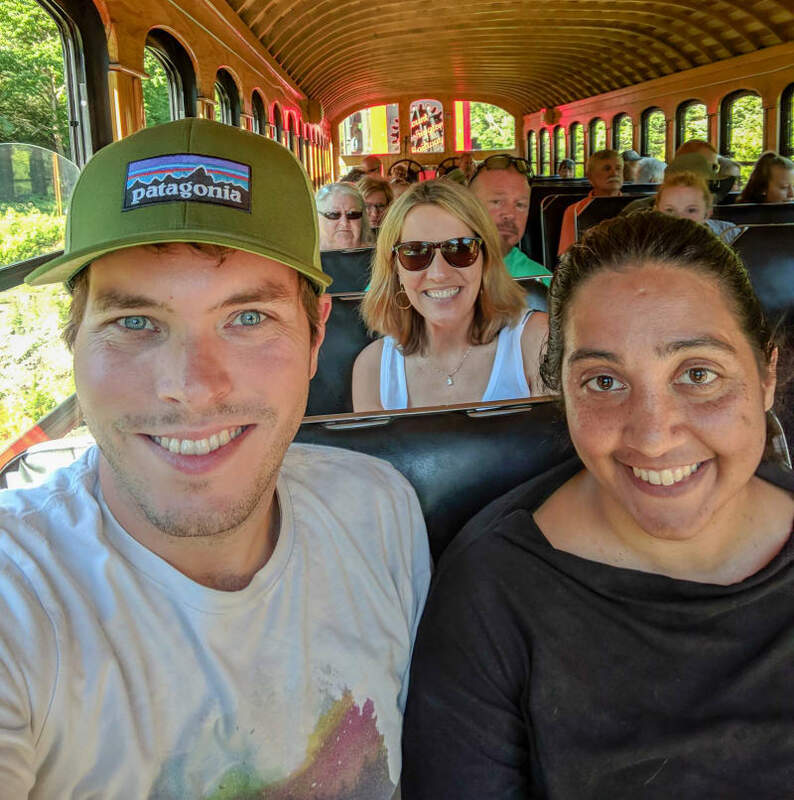 I told them that I wanted to do something Erie Canal-related while in the area, so they planned a picnic at Green Lakes State Park followed by a tour of the Erie Canal Museum in Syracuse and dinner/drinks at Empire Brewing Company. It was a great end to our week in the region! 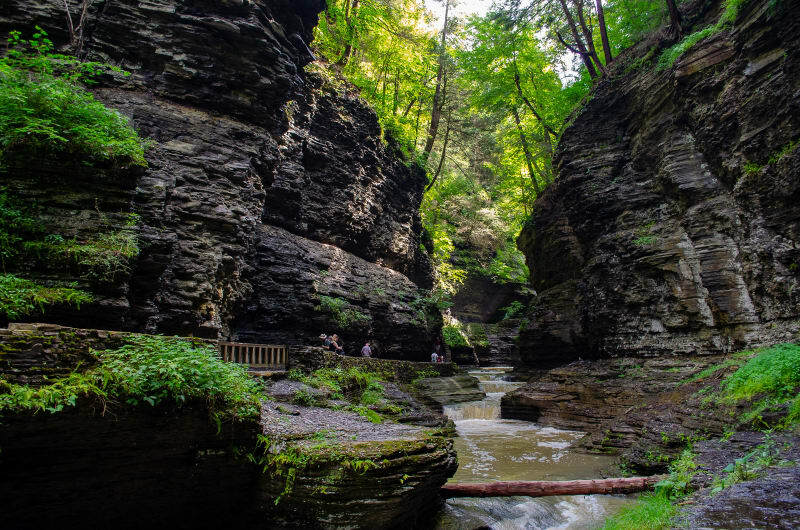 Up next, we head on to Ohio and Cuyahoga Valley National Park.